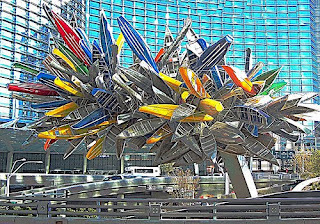 We all know that canoes are works of art, but American artist Nancy Rubins is taking this thought to a different level. From what I can gather, selling the idea for this is the biggest challenge. Posted by Doug Ingram at 8:47 a.m.